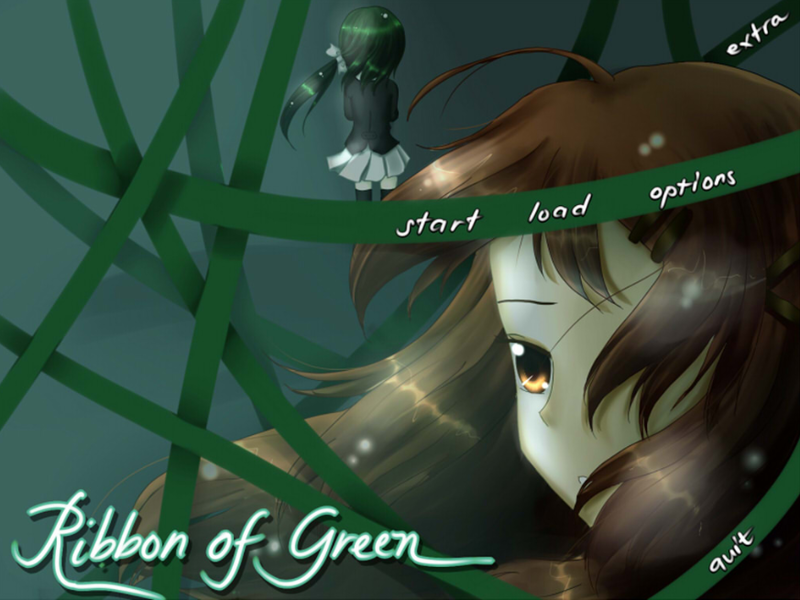 Ribbon of Green is a short visual novel by Soyasushi Products about hope and undying friendship. This game is from the same developers who created Re: Prince of Nigeria, that crack comedy that features a Nigerian prince and an extremely naive and gullible girl.. Though, Ribbon of Green is the opposite of the light-hearted, comedy visual novel. 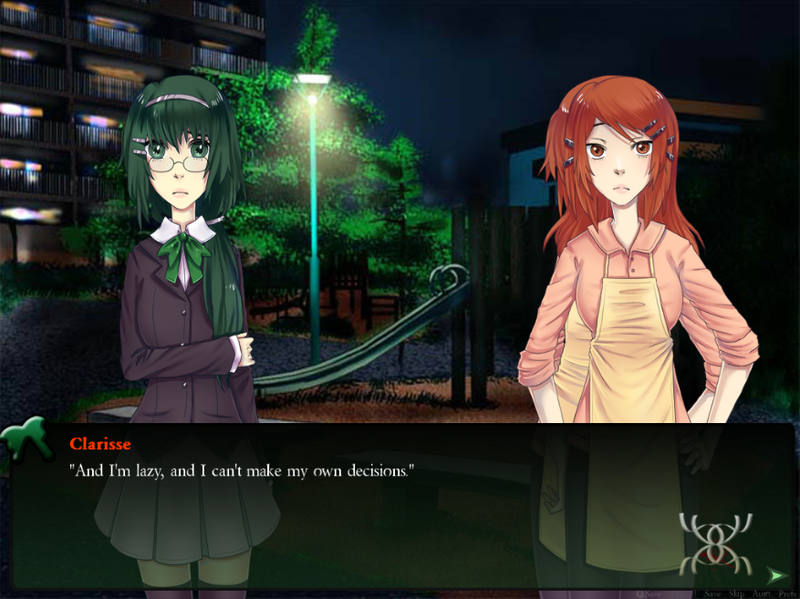 This one is a serious VN that deals with serious topics. The first thing I noticed was the music. The soundtracks in this VN are haunting, chilling, and perfectly capable of setting the hopeless ambiance the visual novel has. As for the art, it's alright, although there were some awkward inconsistencies in Clarisse's and Hanyuan's sprites. For the CGs though, the art is really beautiful, as you can see below. Amazing, right? The colors really pop out, even though most are dark because of the nocturnal setting of the game. There is one thing I noticed though. The transitions weren't always correct, such as in the picture shown above where Clarisse's new pose was simply on top of the other sprite instead of replacing the old one. It's probably because of the programming though, or the file name. Nevertheless, it was kinda distracting for a while. Oh, by the way, there's voice acting !Woohoo. I'm okay with un-voiced visual novels, but voiced ones are definitely fun too. :) I just loved Hanyuan's voice. Clarisse's was okay, though I wish the voice actress had used a clearer mic similar to Hanyuan's actress. Disappointingly, the other characters' voices weren't as high-quality as the protagonists, but they're alright. Haha. Story-wise though, this is a truly touching visual novel that I recommend everybody to play, especially those who are having a hard time in their lives. It tells us that one must never give up, because there's always hope. No matter what happens, we should always look forward to the future. There's no reason not to move forward, and it's useless to live in the past, especially with regret. If we want to change something, we should make our decisions now. 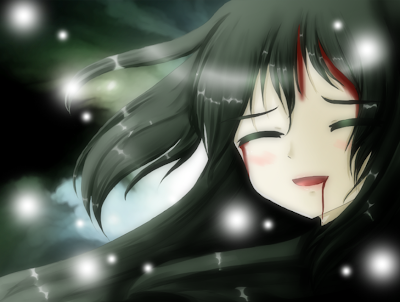 Another lesson this visual novel taught me is that we should never take our friendships and relationships for granted. We should always make every moment with them perfect, because we never know if it'll be the last time we can be with them. Carpe diem. Seize the day. It's much better to live a life without regrets, right? (Extra: This VN was actually based about an urban legend that I know some of you must have already read. It's about that boy who fell in love with this girl. 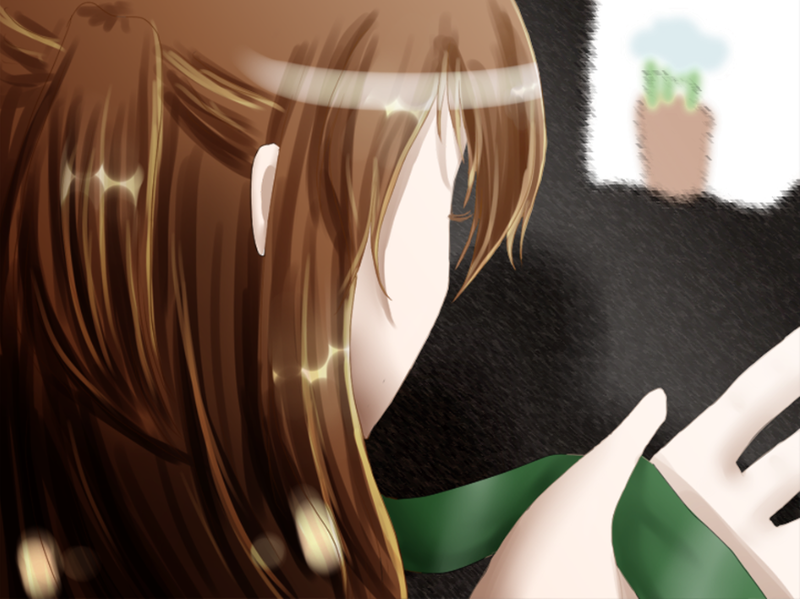 There was one strange thing about this girl though, and it was the green ribbon she always wore around her neck. Even after they got married many years later, the girl still wouldn't let the boy remove the ribbon. Depending on the version you heard, it's either first level creepy or second level creepy, but either way, it's really horrifying. The less creepy one involves the girl, who's now an old woman, getting sick and almost dying. On her final moments she tells the boy that it's time to reveal the secret, and when he finally removes the ribbon... her head rolls off her neck.